Breaking the ice: Could tendon vibration reduce freezing of gait in Parkinson’s disease? Freezing of gait (FOG) is a very disabling symptom of Parkinson’s disease (PD). Therefore, several maneuvers to preserve gait or to support taking steps after FOG onset are of great interest to clinicians and patients. Since impaired proprioceptive processing is considered a contributing factor to FOG, we asked: would enhanced proprioceptive stimuli reduce FOG severity? We used tendon vibration to stimulate the proprioceptive system via activation of muscle spindles. The aim of this study was to verify the effects of tendon vibration on FOG severity, when used as a preventive and rescue strategy. To induce FOG episodes, sixteen individuals known to experience FOG (so-called freezers) walked with small steps on a pressure-sensing mat. Custom-made devices were used to provide Achilles tendon vibration (100 Hz, amplitude of 1.0 mm) whenever a FOG episode was detected (1stepisode) to test its utility as rescue strategy. Since we did not turn-off vibration until the end of the trial, we could evaluate its effects as a preventive strategy on subsequent FOG episodes. We compared the effect of tendon vibration between stimulation of the leg that was least (LA) or most affected (MA) by PD symptoms. A condition without tendon vibration (OFF) was also collected as baseline. Our results show that tendon vibration successfully alleviated FOG severity when used as a rescue strategy during the 1st episode. However, this was only true when the LA limb was stimulated (Figure 1A). Vibration influenced the limb used to reinitiate gait after freezing, increasing the number of initiations with the contralateral leg (Figure 1E).Tendon vibration did not reduce FOG severity when used as a preventive strategy, since we observed no differences in the durations of subsequent freezing episodes (Figure 1A, in orange). This was also highlighted by a lack of difference in time between FOG episodes among conditions (Figure 1D). Our results strengthened the notion that FOG is related to proprioceptive processing deficits. These findings ruled out attentional mechanisms, given that vibration effects were only observed unilaterally and most steps to reinitiate gait were taken with the contralateral leg. Most importantly, this study demonstrated that tendon vibration is a promising technique to alleviate FOG severity in individuals with PD, especially in those with mild symptoms. Future research should focus on transferring tendon vibration to clinic practice and test its effects on other modalities of freezing. Figure. A: Mean (SE) tendon vibration effects on first (blue) and subsequent (orange) freezing episodes per condition. OFF: no vibration; MA: most-affected limb; LA: least-affected limb. Vertical black line refers to significant differences between conditions; B and C: Description of walking sections analysed in the study; D: Mean (SE) time between freezing episodes per condition; E: percentage of steps used to re-initiate gait per limb. Pereira MP, Gobbi LT, Almeida,QJ. Freezing of Gait in Parkinson’s disease: Evidence of sensory rather than attentional mechanisms through muscle vibration. Parkinsonism Relat Disord, v. 29, p. 78-82, Aug 2016. ISSN 1873-5126. doi: 10.1016/j.parkreldis.2016.05.021. 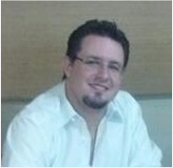 Marcelo is a Post-doctoral research fellow in Brazil and was first trained as a physiotherapist. He received his MSc and PhD from São Paulo State University (UNESP – Brazil). His research interest is focused on sensory dysfunction in Parkinson’s disease, freezing of gait and upper limb freezing. He has used muscle vibration to assess the role of proprioceptive function on gait and posture control in healthy adults, elderly and people with Parkinson’s disease. The study presented here was performed at the Movement Disorders Research & Rehabilitation Centre (Wilfrid Laurier University, Canada) in collaboration with the Posture and Locomotion Studies Lab. PreviousDeep brain stimulation in Parkinson’s disease: How to stimulate the brain to walk optimally?